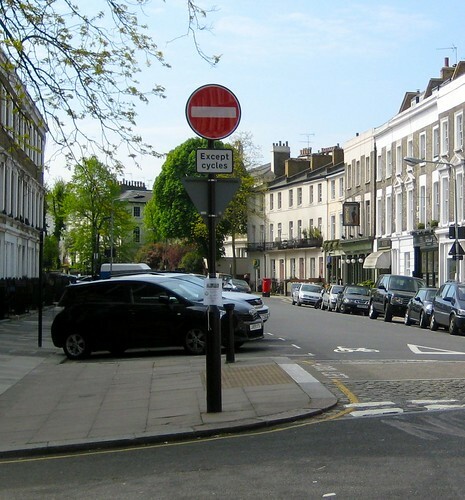 Following the success of three consultations, there is soon to be two-way cycling in several one-way streets in Kings Cross, West Hampstead and Fitzrovia. All of these schemes will be able to use “cyclists exception” to No Entry as shown in the photo of Princess Road. At last DfT allows these signs to be used without fuss.